Although crinum lilies bear the lily name, they are members of the amaryllis family. These showy and sturdy flowers are popular in warm regions, growing readily in USDA Plant Hardiness Zones 7 through 10. When you provide crinum lilies with a sunny growing spot and frequent moisture, they will respond with tall stalks bearing luscious blossoms. 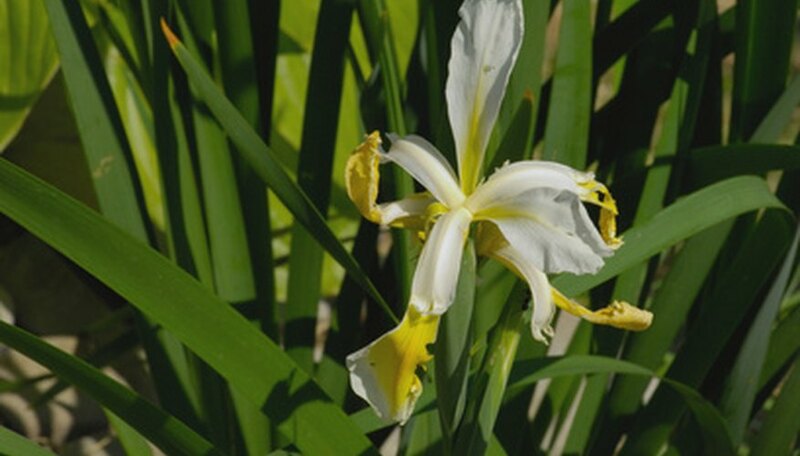 The only suitable method for propagating crinum lilies involves dividing the underground bulbs and replanting them. Spread the tarp on the soil near the crinum lily plant. Dig up the crinum bulbs with the shovel in the spring. Insert the shovel approximately 6 inches away from the outside edge of the plant and push the shovel down into the soil. Continue working the shovel around the outside perimeter of the plant until you loosen the plant in the soil. Push the blade of the shovel underneath the bulb and carefully lift it out of the soil. Place the bulb on the tarp. Remove as much excess soil from the bulb as possible to allow you to see it clearly. Pull the smaller, outside bulblets from the center bulb with your hands or cut them off with the sharp knife. Each bulblet must have a stem protruding from it. Separate the large bulb into smaller sections with each section having at least one stem. Plant the bulbs in the soil immediately to prevent them from drying out. Prepare planting areas for the propagated crinum lilies. Add 2 to 3 inches of compost over the top of the soil and work it in well with the garden spade. Dig holes for the divided bulbs to plant them at the same depth as they were originally growing. Water the newly propagated crinum lilies immediately after replanting them. Keep the soil evenly moist throughout the first month after dividing to ensure the new plants acclimate to the division. Expect a delay in subsequent blooms after dividing the crinum lily plant because the bulbs do not respond well to being disturbed. Some gardeners call crinum lilies swamp lilies or spider lilies due to their desire for moisture and the shape of the blossoms. What Is the Minimum Temperature for Begonia Tubers?